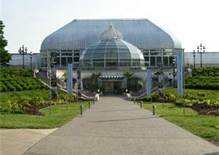 So, I haven’t had much time to post about my wonderful third residency, but I am proud to post the piece I read at the Phipps Conservatory and Botanical Gardens tonight with some stellar colleagues in the program. Carlow has such amazing writers and events that challenges me at every turn. This pieces uses the characters from my manuscript, and is compiled from two prompts given by my mentor, Janice Eidus, who has shuttled me to knew writing heights. Please let me know comments, criticisms, and what you enjoy about it. Happy reading and writing! The doorbell echoed down the hall, waking Cassie from her mid-afternoon nap. She brushed her blond hair away, so that she could see the carved elephant clock on the mantle. Mom wasn’t expecting any company while she’s out, and Dad doesn’t get home until 5:00 pm. I am not answering that. Whoever was outside began knocking incessantly until she yelled, “Go away, I have a guard dog and he’s trained to bite sensitive parts.” The knocking continued, forcing Cassie to lose the comfort of the worn wool blanket and go to the door.She pulled a stool to see through the peephole, but found no one waiting on the porch steps. Instead, a clear vase with delicate, periwinkle orchids were placed in front. She raced back into the living room, tearing open the curtains of the bay windows, secretly hoping the mysterious delivery person would be hiding in the bushes. There was no one in sight. Clutching her mother’s enormous red umbrella, she flipped the dead bolt open and cautiously walked outside. Once she confirmed the porch was safe, Cassie made two laps around the house, even checking the locked shed in the back. When she returned to the porch, the umbrella was released from her sweaty palms in favor of the embellished card in the flower arrangement. It read thinking of you on the front. Cassandra, I have been watching you. For weeks, I have watched as you live a beautiful life and I want to be near you. Meet me at the play yard five blocks from Lewisham Library before sunset. I will be waiting. The unsigned card fell from between her fingers, landing close to the dropped umbrella. It didn’t matter where it landed because the horror of its contents was already flooding Cassie’s body with adrenaline. I’ll bury the flowers, so Mom doesn’t find them in the trash. This creep is not getting away with this. I’ll make him know that he can’t follow around 13-year–old girls for fun. Back inside, Cassie dressed for war. Covered in black from head to toe, she stared at herself in the mirror. Her father messaged her, explaining that they would be out late for dinner. They won’t notice I’m gone. By the time she got there, the sun was already dipping beneath the London skyline. At first, she saw a few children playing on the swings, but it wasn’t long before they vanished into the orange twilight. Cassie ventured towards an abandoned brick building that looked new in the decaying area. Sitting by the entrance to the building was an ordinary, wood chair covered in a chipping white paint.There were flakes of paint littering the spot where the chair sat, but the flakes distracted her for only a second as a dark man in a ragged yellow tunic stood to greet her. He smiled at her like a father would watching his children; his pearly teeth gleaming in the remaining light. Cassie’s eyes widened, her palms sweating again, and only one thought screamed inside her head. Turning quickly, she picked up speed and ran, pushing herself further from the danger. The sweat seeping from her pores as she ran from the man she wanted to forget. Why me? I wish I was brave enough to stay, but no. I’m a coward—all talk. If only Nathan was here, I need my big brother. Once she passed some recognizable landmarks, her hands unclenched and nail marks peppered the palms of her hands. The only answer I have is to run. I bet Nathan isn’t worrying about me anymore. Backpacking through France with his girl friend, why would he? I wish I had his uncomplicated life; he can have the stalkers. The house came into view, and was exactly the way Cassie had left it–dark and inviting. Entering the familiar space, she headed for her brother’s room as she frequently did in recent weeks.